Expect defined arms and a beautiful back if you put this one on repeat my friends. Just over 15 minutes dedicated to the biceps, triceps, shoulders, and back in such a way that even Cat was challenged to the core (literally). Grab some heavy dumbbells and let’s carve it up. MM2019. I have been working on my arms more this year. This is a great class to help me enhance the progress I have made. Thank you! MM2019 – one of my favorite classes….thanks Cat! MM2019 #12 – First time class – really enjoyable and burned a lot. Nice arm concentration after AJs 10 minute warm up spin. Great wake up on an off day. MM2019. Great! Loved this!! Thank you! MM2019 WK2 2nd sculpt class, jello arms! MM2019 love this arm workout! MM2019 week 2 sculpt 1. This is a favorite. MM2019 Week 1, Strength class 2! MM2019. This class is one of my favorites. Thanks Cat. MM2019 Week 1 – Strength #2. Second time on this class this week. I think I felt it more this time! MM2019-still one of my favorites! MM2019 awesome arm workout! I’ll definitely be feeling it tomorrow. MM2019! My arms are so fried I can barely type this in…!! Thanks Cat! MM2019 I love this class, always in my rotation! Thank you Cat 🙏❤️!! Short and intense. I liked it! nyoc2019…this is one of my favs!! NYOC2019 #3 love this one! Looking forward to doing this one again! HW2019 #5 part 2…. doesn’t count I know but its a great quick arm burn! HW2019 3.25 😉. I know it doesn’t count because it wasn’t 30 minutes. Arms are shaking! Hw 2019 # 2b – quick and burnt! MMC2018! I love adding this to the end of my workouts! I’m gonna be sore!! Paired with the Christmas Cat spin! thanks cat!! cant wait for the 15th!! Drive To 25 2018 #21 part 1. Paired this with Miriams 10 minute Upper Body stretch. Great workout. drive to 25 #14 after cats 40 min spin! awesome shaking all over!!!! Drive to 25 #16 – part 3! perfect after my 3.5 mile fall run! Drive to 25-7 perfect addition to the 20 min spin! Drive to 25 #3 (part 1) done! Drive to 25 – Day 1 : Great arm workout! this is such a great workout to tack onto one of the shorter sculpt or spin videos! it is absolutely killer on the upper body. i think sculpt workouts need their own sweat scale haha. this would easily be 5 “droplets of sweat” considering the intensity in a short amount of time and on such an isolated part of the body. 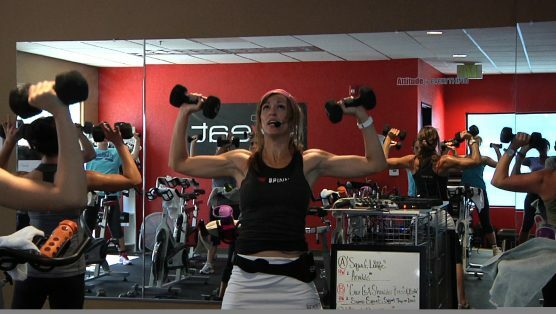 of course it isn’t as “sweaty” as spin but it deserves 5 stars for a sculpt workout! great arm work out! I like to add after spin so 15-20 min is perfect! Love this arm workout! Would love to see more!!!! SFL 2018 paired with AJ’s 30 minute spin for my own version of spin sculpt! 14MDM Paired with 20 min HIIT spin. LOVE IT!! #14MDM sculpt! Great arm workout. Paired with Rebecca’s 15 Minute Legs to get some work done on a low motivation night. What a combo! I’ll have to try it sometime when I’m lacking motivation! NICE DENA! Arm days are definitely a necessity! Helping me to help myself look smashing, thanks Cat! I’ll keep this in my favs to keep working and progressing!! March Madness Workout 3- cant wait for the sequel, but great add on to Brians chest and back workout. Glad you found a perfect pairing Lorraine! What a combo, I’ll have to try it out sometime! That’s because you are strong! 😉 Glad you liked it! Perfect way to add an extra bit of sweaty love after any SUS. SSoD rocks, in case you didn’t know :). Agreed! & D’aw, SSoD wouldn’t rock without ya Heather! Glad you’re feeling better Diana! SSNY2018 week 4 class #3. Getting ready for a vacation in Cancun, thanks for helping me get my arms toned! Straight to favourites! I’ve been looking for some short workouts to challenge my upper body. I do Spin often and I’m also a yoga teacher but my arms sometimes feel like they need more – this did the job nicely! Glad to hear this from a fellow instructor <3 Glad you found a happy balance! Would love to check out one of your yoga classes sometime! SSNY2018 – I love this class! SSNY2018 week 3 workout #2. Great way to round out my workout after Rebecca’s treadmill hills and drills! SSNY2018. Yeah I’m going to be sore for sure. This was great! SSNY2018 week 1/#7. Cat, I could have worked out longer if you had more. Love this type of workout where I don’t have to get on the floor, get up off the floor, get back on the floor on my knees or back 🙂 Some days I can do it and when I can’t, I look for these workouts. Thank you. Glad you found something that works for you Rebecca, even on the days you feel strained. You’re amazing! Nice, I’ll have to try out that combo myself sometime! I was looking for a quick arm workout! Thanks Cat! Added this after a killer 30 min spin! Amazing combo Kerry! You’re killin it! Loved this short format as an add on! Hell week day 5 – love to pair this workout with a spin. Great arm blast after Jessica’s new spin. Seriously smiling through this one! Thanks Cat. I am 100% addicted to this class! Loved adding it to any SUS! Please add more of these 15 minute upper body workouts! They are perfect for after the spin bike or the treadmill when you just want to do a little upper body. Drive to 25 – #37 – I am so glad that I found SSOD and participated in the challenge. One of my goals was to work more on strength and stretching. Goals accomplished. Thank you! The first step to improvement is admitting what you need to work on Stacey! 🙂 You got this! Drive to 25. Getting stronger! Isn’t it the best feeling? Drive to 25/18 Nice one Cat! I liked it even better the second time! Glad to hear it Kelly! Drive to 25 #75! What better way to meet my goal than with my favorite arm class? Those arms will def thank you! Drive to 25 – 131 – Thanks Cat! Great quick arm workout! Just what I needed. Glad to hear it Sarah! Drive to 25 Class 38! Nice Andrea! You’re killing it! Drive to 25- always a favorite!! Perfect upper body focused workout good for every level of fitness!! Honored 🙂 Right!? Glad you think so Nicole! That’s AWESOME Jan! You probably stole the show at the wedding 😉 but congratulations! You must be a proud mama! Drive to 25… no idea what number. Gotta look at fb. Loved it! We all have those classes that we could do indefinitely..glad you feel that way about this one Heather! Drive to 25 – 117 – I am using a stability ball to sit on for this one now. Yes I can! Thanks Cat. Yes you can! Of course Janet! Drive to 25 going to be sore tomorrow! Drive to 25 – I keep coming back to this class again and again! Drive to 25….as per usual fab!! Drive to 25 #53 I can’t say how much I LOVE this class!!! Driveto25 #47 My once a week arm class. More like this please! Thanks Cat! Drive to 25 – 100 – Guns! Did it with 20 lbs today! Drive to 25- arms were burning! Love it. You’ll be sore today but strong tomorrow Debbie! Sore muscles means happy pain Danielle! Drive to 25…15/25. Traveling this week so this is a really nice condensed session. Still lots of sweat!! Nice Yvonne, hope you’re enjoying your travels! Send us some photos why don’t you! Drive to 25. You know this is one of my favorites! Thanks for telling me Lisa 🙂 I’m honored! Drive to 25 – Another great arm workout. Glad you enjoyed it Brian! Drive to 25 20/25 love this arm workout! “Drive to25” – # 77..Hey Cat I’m back doing this old faithfull again..I LOVE this Class Cat Kom..thanks again.!! Welcome back Andrew, we missed ya! Seriously love this quick arm workout! Love that you do Tamara!! drive 25 love this workout did it after Cats 20 min cardio and core I am shaking!!!! “Drive to 25”- great end to a spin workout. Glad you thought so Connie! Drive to 25 – #25! YAY! Challenge complete and on to the next 25! Drive to 25 #19. Love this quick arm workout! Drive to 25. 7/25. Paired with Rebecca’s 15 min legs for one nice workout. Thank you! Drive to 25- arms to go with the Halloween spin! Drive to 25 – Did this arm workout after your 20 min HIIT spinning class felt great. Drive to 25 # 8! Drive 25 My go to workout for more arms and added bonus to workout routine! Do this class most every week since it’s been available! Drive to 25 – 63 – my arms and upper back are getting stronger. Thanks Cat! Drive to 25- keeping coming bk to this one. Drive to 25 – one more workout closer to carving my arms! Yes!! Just because summer is over, doesn’t mean we have to let the summer arms go! Drive to 25 – I’ve done this class several times and have been able to increase my weighs and see a difference in my muscle definition. Take this class and challenge yourself with it. You’ll be glad you did! True words of wisdom Andrea!! Drive to 25- went heavier this time and feels good! Nice Liz! There’s always room for improvement and I’m glad you realize that! Drive to 25- 39. Cat this is an amazing arm routine. I’m supposed to work today and it may be painful. Great add on to a spin set….now to stretch! Awh thanks Allison! Your arms will thank you later, believe me!! Drive to 25- dont get tired of this one. Glad to hear it Lorraine! Drive to 25 – 56 – My arms feel pretty strong! Thanks Cat! Drive to 25 – #25!! Drive 25 – #15 Great class going to my favorites and arms feel like jello! Drive to 25! 25/25. Had to be with Cat Kom! CONGRATS MARGARET! You go girl! Always make the most out of every workout but I’m glad you liked it! Drive to 25…loved it. Please make more upper body weightlifting classes. Drive to 25 class 18! Yes yes, keep pushing yourself Nicola! You got this! Drive to 25 working it! Drive to 25 #9! Love this workout. Always come back to it when I’m short on time. I’m glad you found one that suits your busy schedule Liza! Drive to 25! Going back again to one of my favorites! ❤️ this workout! Yes, take it easy over there Terry! Drive to 25-#18 great arms! Right? Making the most out of arm day over here! Drive to 25 – pumped! Drive to 25 – To make this a little harder I double up the work out! Well lookatchu! Killing it Brian! Drive to 25 – 39 – My upper body is solid(ly shaking). All good! Thanks Cat! Drive to 25 good way to end my work out cycle of Caturday! Drive to 25- went heavier this morning gets the heart rate up, please make another one Cat. I’ll just have to Lorraine! Drive to 25 – Great workout. Drive to 25 – #15. Went heavier this time; will definitely feel it tomorrow! Drive 25 Love combining this class with spin classes. Would love to see another arm only workout! Noted Alicia! Glad you liked it! Drive to 25 #10 – Ch Chang! Drive to 25 10/25 I believe I will be very sore later! Great workout. That’s what I like to hear 😉 Thanks Jenn! Drive to 25 #7…another great muscle group work out couples with the elliptical…making the most of the hotel gym. I’m glad you thought so & yes! Take advantage of all their fancy equipment! Drive to 25 #9. Thanks for the great workout. Drive to 25 – 31 – my arms are pumped! Thanks Cat! As they should be Janet!! Not losing any time I see! Go Brian! Drive to 25. Always my favorite! Love the seated exercise. I feel like it’s a much better concentration! Drive to 25. This has become a regular for me…..son’s wedding coming up! Drive to 25! Great arm workout! Drive to 25, did this at lunch because I have been doing a lot of running and the arms needed some love! Yes, don’t forget to love those arms, Megan! Drive to 25 #11 – I try to do this class once a week…. I love it! drive to 25. . . workout number 3. love this short class, so helpful! Glad to hear it Norberis! Drive to 25 👍🏼 Perfect follow up to a spin class! Drive to 25 #9. Gonna be sore! Drive to 25 #4-love this class, I think I’ll be doing it a couple of times each week! I love it! I dare you! Drive to 25 – I keep coming back to this one it’s so great! Nice Surie! We all have those favorites that we come back to! Drive to 25 #3second time with this class. It will become a regular for sure. Awesome and quick. Glad to hear you have a new favorite Jan! Drive to 25! Quick arm burn! Nice Diana! Glad you found an alternative! Drive to 25 flabby arms no more! “Drive to25” – #22..Hey Cat I can’t stress enough how much I LOVE this workout it just get results every time..thanks for everything..you’re awesome !! Thanks, Andrew! I’m glad you found a favorite! Drive to 25 – 15 min well spent! Great work out!! Drive to 25 – class 5. Arms shaking like a leaf! Cat, I know there are other classes to target legs, abs, etc. I loved your Amazing Arms class; how about more amazing arms? Drive to 25 #5. Love this! Do you have others like this that target certain areas? “Drive to 25 ” Class 5 ! DT25 #5! Omg! I might have pulled my lats n teres major… I’ll be sore tomorrow for sure! Thank you cat! Drive to 25 #3 thanks! Drive to 25- This was nice to do after the anniversary ride this morning! Thanks for always having a positive attitude and bringing it. I would love to meet you and workout with you in real life!! You seem awesome! Drive to 25- finished my day with some arms. Drive to 25 – 13 – I do this one as often as my guns will allow with heavy weights! Second 3rd shift night at the hospital so decided to do this quick workout since I’m a bit tired. Thanks for the great workout Cat! Drive to 25- #6 Love these short target classes. Thanks Cat! Drive to 25!! love this arm workout! Drive to 25 #5. I love this as an add on. Wanted more arms today and boom…I got it. Thanks Cat! Drive to 25 #3/25… great compliment to Rebecca’s 15 minute legs… and you also get to sit down which really helps after Rebecca’s 15 min legs! Make that 4/25… i hope it counts! DT25 Day 2- Great quick arm workout! Planning to use this as an add-on with more spin classes! Thanks Cat! Drive to 25 – #2. Love this class! Drive to 25 (2/25) Loved this class! Short yet still managed to break a sweat and my arms feel it! Would love to see more of these types of classes. Drive to 25 – #2/25. I just ove this arm workout after a sus etc..uts awesome..thanks again Cat..one I keep coming back to..cheers.!! Drive to 25 #1. Love this class. Thanks Cat. Drive to 25- my arms were craving that. Loved the length and speed between sets. Great paired with Bethany’s spin this morning! Love these quick and effective classes that can be add ons or done as a solid burn alone. I especially love doing upper body seated. I feel I am more stabilized and concentrated in my movements. Thanks Cat! That definitely was a sweat with even sitting down! I’m impressed 🙂 My first week doing a 4 of your workouts and this once definitely surprised me! I could really do with this class, it looks amazing! Is there any plan for it to become available as a single class download any time soon? Hey Cat I’ve done this Class loads now..and love adding it on after bsps like I’ve said before..it would be great to see more short classes like this. They make workouts so versatile and fun..love it Cat..you’re such an inspiration.!! I hear you Andrew. Did you know you can email class requests to ondemandsupport@studiosweat.com? We actually look at them and use them when developing our filming schedule too! So, tell us what you’d like and we’ll see if we can make it happen! perfect for the arms to add on any time. second time doing this and I went up in weight…what a difference! YAY glad to hear about the improvement Heather! Wow…I predict major after burn is in my future! Amazing quick class! Wow, you must be a fortune teller! 😉 Thanks Hollis! Perfect after a quick 30 min spin!! Thanks so much for this one Cat! I fell down 2 steps yesterday and suffered a pretty nasty mid-foot injury. I cant bear weight on it, so I can’t spin and I AM SO BUMMED. But Im still able to work my upper body. So thanks again. I sure hope I can get back on my bike soon. Awh Linda, I’m so sorry to hear that but I’m so proud of your persistence and dedication towards staying fit and healthy. Take it easy and don’t push yourself too much. Wishing you a speedy recovery! What a great ad-on class for those SUS days. Nice! I think so too 🙂 Thanks Heather! Loved this on my second time through as much as the first time. Super excited when Rascal Flatts cane on; they are my favorite band! Right?! I don’t care where you are..when Rascal Flatts says “Hurry, Baby” you drop everything and go!! Hey Cat that’s 3 times I’ve done this Class. Two consecutive days after bsp classes..I LOVE IT.!! That’s a record Andrew! Love your enthusiasm! I loved it. I am always looking for arm workouts. How often can you do this? Once or twice per week, maybe build up the weight a little each week if you can! Oooh, I’ll have to try that combo sometime! Love, love this short sweet arm workout! Thanks, Cat!! Thanks Pat! Love that you loved it! Hey Cat ..thanks for this short but effective arm workout..loved it..one I’ll come back to and add on after some bsp classes etc..p.s..you’re in awesome shape as always..thanks.!! That’s a great idea and thanks Andrew! Thanks for a quick intense arm workout. Love these quick workouts that can be done by themselves or stacked with other classes! Yes yes, that’s why we do them! Keeping them short so you can squeeze in a variety of workouts! Done. Giving my arms some love! Thanks so much Cat. Of course Janet! I’m keeping all of you in check! Yes yes that’s why we have them! Glad we’re keeping you entertained Kristen! Loving the combination. Just because it’s a quickie doesn’t mean it’s not a goodie! Super great! nice to after a spin class!!! I appreciate careful thought out moves . Way to go Cat!! Always prepared and thought out for you guys! Glad you loved it Hrvojka! That was awesome Cat! I paired this with Mike’s Spin/Core. I got a good workout with both. What a combo! Love it! Great quick Arm workout. I really neglect my arms so I need to put this in at least once a week. Glad you can admit it Scott! Can’t leave those arms hanging! Yes I can ! Yes I did ! Yes it hurt! Yes is worth it !!!!! Yes i love ya Cat !! I’m loving this “YES” attitude! You go girl! I’d love more workouts that are 20-40 minutes and focus on the upper body. This was great combined with Bethany’s 20 minute HIIT. Now off to walk the dog! Love the combo! & more like this one will definitely be coming! Loved it!! The format was great and I really felt how sitting takes out all the momentum which makes for a great burn. Would love another class like this that was even longer! I will back for this one a lot – great add on to a spin. You rock Cat – thank you so much!!! Noted Doria! I’m sure you’ll see one somewhere in the near future! Love this quick and wicked arm hit! Great add on to a speed spin. And Cat – you were working it hard! Thank you so much for this fun workout! Done. Thanks Cat! Used 15s but I think I can use 20s next time for back. My arms are trembling. Love that you’re pushing yourself! & that’s how you know it was a good workout! Loved this one too Cat!! Thanks for the shout out!! Of course Rebecca! You deserved one! Of course! I do it for you guys! Yes, I can! Upper body toasted. Thanks for the Heather posse shout out! Loved this short and brutal gem. BOOOOO YAAAAHHHHH!!! Now THAT’S how you get your muscles FIRED UP BABY!!! Thanks Cat….its goin into my favorites!! Glad to hear it Liz!!! This was a nice surprise this morning! I will make it a regular one. I love these super short workouts (that don’t feel short while I’m doing them)! Thanks! Glad we still have the ability to surprise you Molly! They’re truly the best! Personal Train with Cat! Ever curious what it might be like to train at Studio SWEAT? Check it out and join in! Believe it or not training can be fun! You just need some dumbbells and the desire to change that body. One step, one rep at time. You got this! 30 Minute Strength & Stamina: Break a SWEAT!!! Got 25 minutes? Get ready for a quick total body blast in this have fun and get it done SpeedSculpt. The time flies by and before you know if you’ve challenged every major muscle group. This is one where you’re thinking just “BREAK A SWEAT”, but odds are you’ll feel it the next day! What more could you want? Get it done. Get ready to not be able to walk tomorrow! Totally kidding, but, seriously… Ha! This is one challenging 20 minute killer leg workout, I’m not gonna lie. Take note, that this workout is not full body, it’s all lower body! We had several of you request this… so here it is! Variations of different lunges and squats keep those legs guessing. We hit them from every angle to ensure all the muscles, big and small, get tightened and toned. Oh, and to give the legs a little recovery time, we pepper in some ab flattening core work too. Enjoy! Full body workout in less than 25min! Legs get to burning with lunges, squats & plyo. Areas hit hard: shoulders, chest, back triceps & biceps. Then the Core is challenging & unique. Music is an energectic mix of hip-hop with some alternative rock.